The power of hurricane-force winds yet easy on the ears. had the industry's lowest noise levels for the last ten years. exclusive 14-blade fan that eliminates the tiresome "gyro"
and shock isolation mounts to reduce vibration. a full powered remote exhaust director. 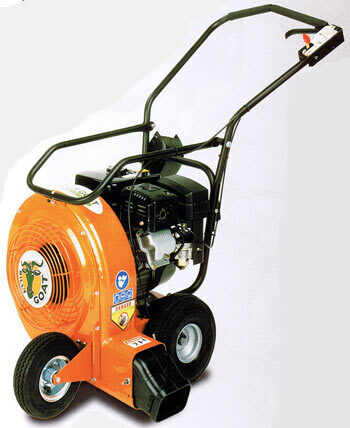 lawn vacuums and blowers have earned a reputation for performance and reliability.